The Bush Inn re-opened in July 2015 after an 8 month renovation and modernisation of the former historic tavern. Re-designed to cater for guests looking for comfortable, economic, medium to long term Nelson accommodation close to the city-centre. The Bush Inn has proven a hit with its newly refurbished and spacious interior. The thoughtful renovation has included all new bedrooms and bathrooms, together with installation of modern plumbing and efficient LED lighting. As well as interior design, local architects have integrated Seismic Strengthening, insulation and a state of the art Fire Alarm system. Consequently the building has been independently assessed at 100% of the National Building Standard (NBS) 2017. As a result The Bush Inn is now ready to provide a new generation of travelers with a great place to stay in Nelson. Located in "The Wood" a quiet suburb, yet also close to the city centre. Two minute walk to delicious Milton Street Takeaways (fish & chips, pizza, hamburgers etc.) and the Milton St Sprig & Fern Tavern where you can sample some of Nelson's boutique beer. Downtown Nelson is an easy 10-15min walk. There you will find great cafes, restaurants, shops, art galleries, banks, supermakets, pool, local gyms and anything else you might need. NBUS from The Bush Inn to Whakatu Square in Central Nelson takes 5 minutes if you dont want to walk! 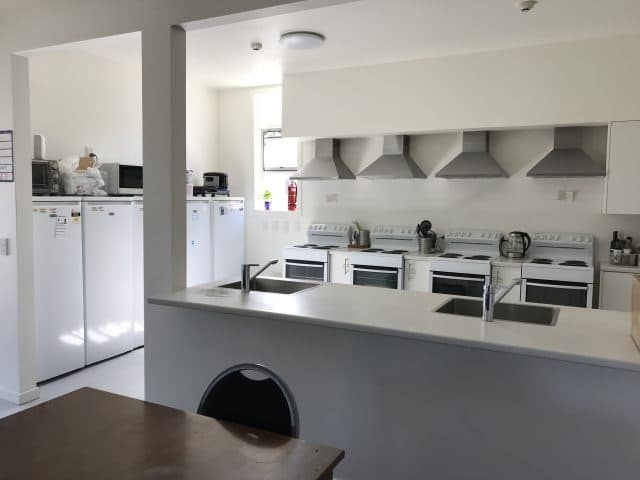 The onsite housekeeping team ensure the common areas and bathrooms are maintained to a high standard of cleanliness and presentation at all times. As well, the guest bedrooms are serviced once a week with fresh linen and towels provided.